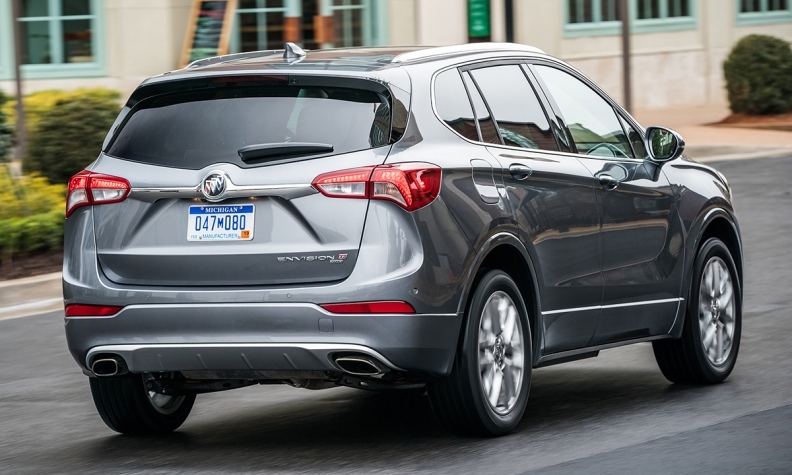 Conspicuously absent from the 2019 Buick Envision is the Buick name badge — just the Buick logo is visible. In the 2019 model year, other Buicks sold in North America will drop the badge. DETROIT — Starting with the 2019 model year, Buick vehicles will no longer bear the name in North America. Ditching the "Buick" script badge first was the 2019 Buick Envision. The badge was conspicuously absent during the premiere of the vehicle's midcycle refresh last month.